This dough was made from the '80% Hydration Baguette' recipe from the Weekend Bakery. 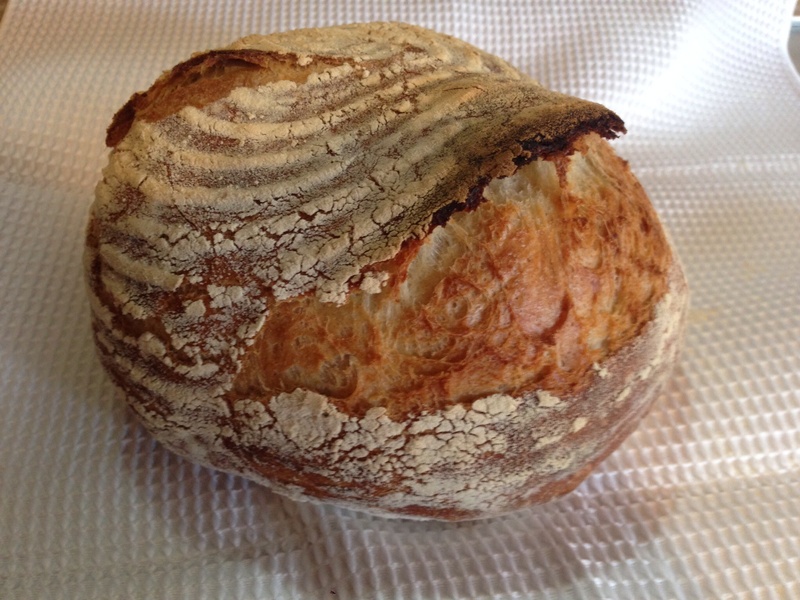 it is supposed to be for baguettes, but, as you can see, I made it into a boule. Quite yummy! I do need to learn how to score better. For this bread, I let it rise in the banneton seam side down, a la Ken Forkish. I prefer a more purposeful score so will do that in the future. can't seem to make it work from my iPad. Pics are just on the iPad Camera Roll and not uploaded anywhere else. click on 9th button, then click on the icon after Image URL, then click on upload at the top left. Then hit Choose file and select it's location on your iPad and then click upload. Thanks! Now it says the pic can't be uploaded as it is 1.08 MB and the max size is 1.0 MB. I'll have to fool around some more. I appreciate your help! and taking a selected screen shot. That works for me.